Over the years more than 500 young law students have participated in the internship program of the Ateneo Human Rights Center (AHRC). They learn about alternative lawyering and the problems the poor face in getting justice. Many have been deeply moved by the experience, and quite a few have entered the field of alternative lawyering themselves. Others are now working in private law firms: the corporate world or government. 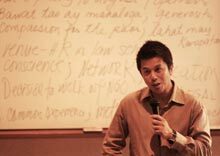 A former intern is even a current commissioner of the Commission on Human Rights of the Philippines. Many continue to stay in touch with the AHRC and can be tapped for help, but so far there had been no attempt to draw on the alumni in a systematic way. This year the AHRC, with the support of the Friedrich Naumann Foundation for Liberty, decided to remedy this. It brought together a cross-section of its alumni in two programs to discuss the most pressing issues concerning the state of the rule of law in the country and to probe for possible reforms. The first consultation was on 29 November 2008 and the second one was on 13 December 2008. Both were held at the School of Law, Ateneo de Manila University. The key issues that emerged were two. One was that widespread corruption has undercut the law, compromised the function of institutions and excluded the poor. Since corruption also affects the legal system including the judiciary, the situation has become rather grim. The second issue was the insufficient access to justice for the poor. The question was not just one of costs but also of badly designed systems, of complicated administrative procedures and of legal processes that impose a huge burden on the poor. 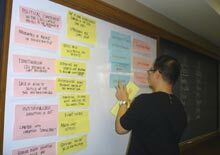 The group came up with several ideas for reform. These included: abolishing some files and procedures, using technology to make court procedures more interactive and updated and strengthening the judiciary so it could perform its function with greater effectiveness. This was only the first event in a process that AHRC promised to continue. The hope is to eventually evolve a practical reform agenda that would make an impact on the quality of the rule of law. The plan is to have that ready when the next administration takes over in 2010. That would likely be the best opportunity of initiating a new era of reforms.